Take a pic and Recycle! Divivus understands how backbreaker can be to help the modern era of the green world , so it simplifies everything for you . 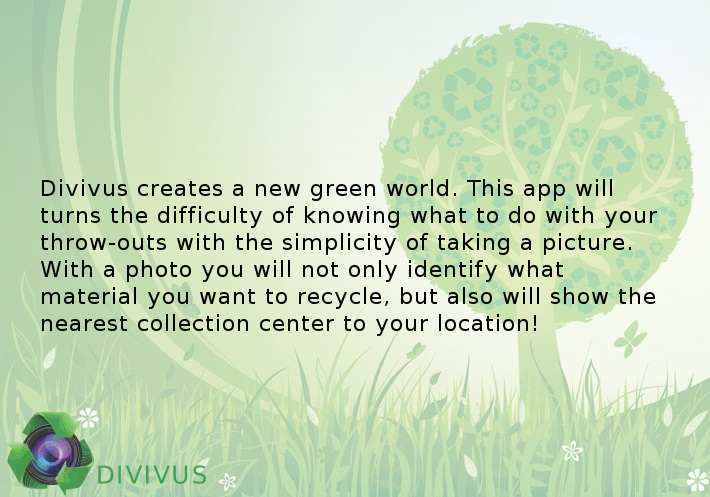 Sets an easy way to recognize the different kinds of waste and guides you all the way to the nearest recycling center. This application for iOS innovates all kinds of mobile recycling program. Its dynamic interface embarrasses multiple methods to identify the type you require recycling and its own center.